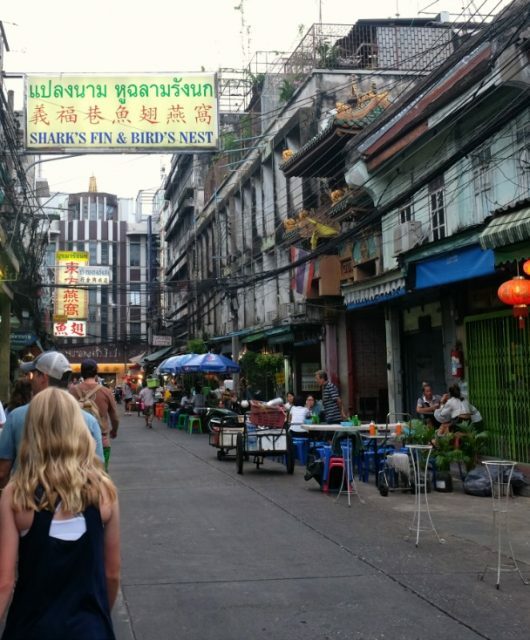 We usually try to stay relatively close to home for spring break which works out well because there are so many places we still need to explore within an hour or two flight from San Francisco. This year we chose Arizona where I hadn’t been for almost 15 years. 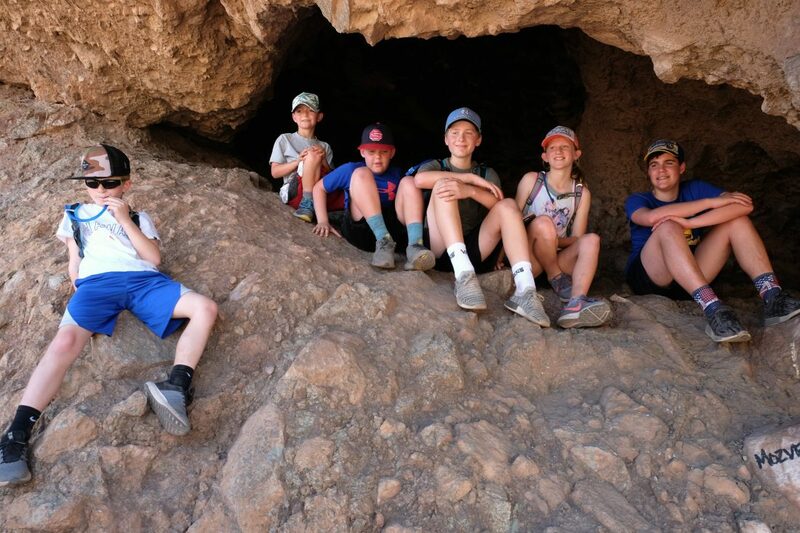 We were anxious to spend a lot of time outside exploring cool rock formations, hiking, swimming and enjoying some warm weather! Scottsdale was the first of our three stops in Arizona. 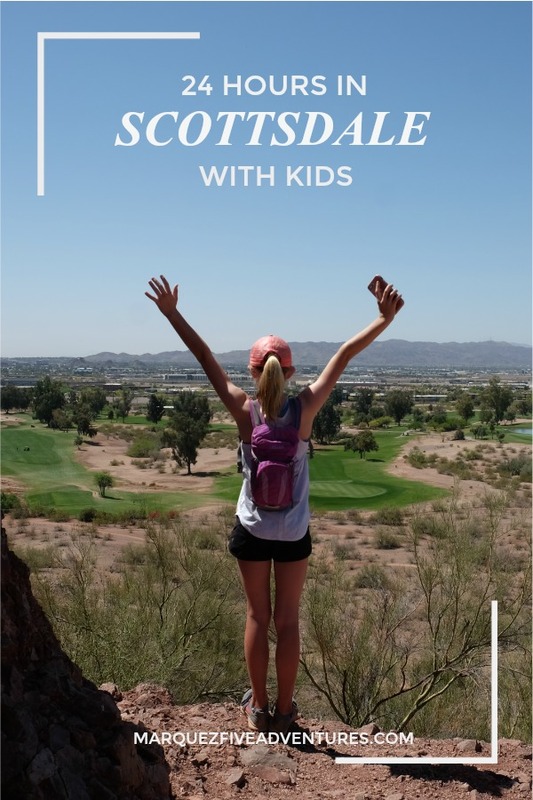 We flew into Phoenix and stayed at the JW Marriott Scottsdale Camelback Inn. The sprawling resort was at the base of Camelback Mountain and was very nice. We reserved a 2 bedroom suite which had a small kitchen, a living room and a courtyard out front with lounge chairs under a citrus tree. It was a great setup. 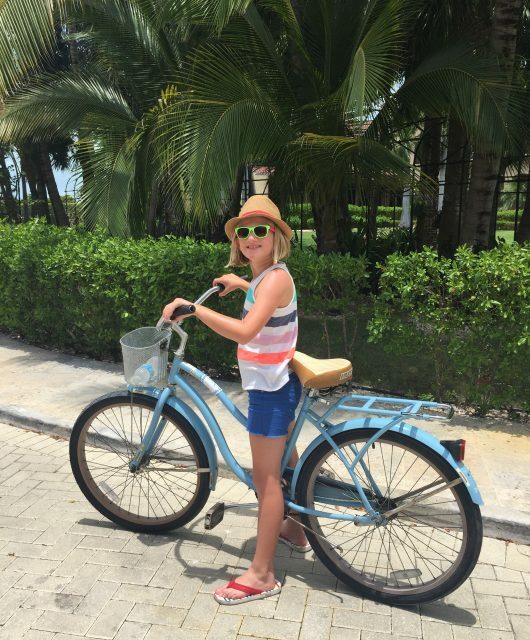 My only minor complaint was that it was a little outdated – for the price we paid I expected it to be a little newer. 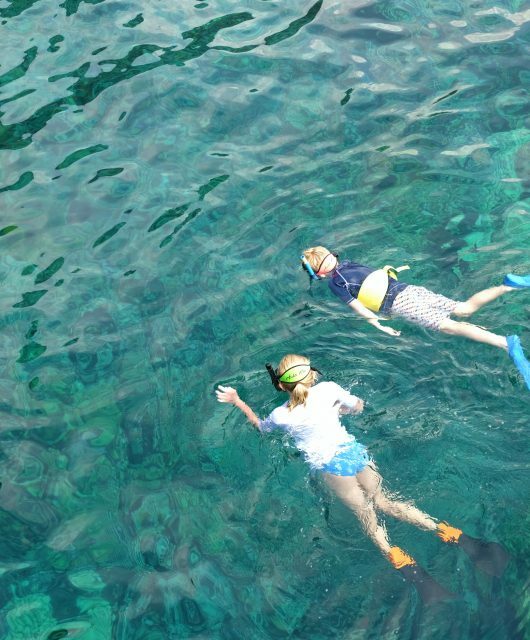 The kids had a great time playing in the pool which was only a short walk from our room. But here’s the problem – I meant to book us at the JW Marriott Phoenix Desert Ridge which has a much more extensive pool setup including a lazy river that I had really talked up. I read all the reviews for the Desert Ridge resort on TripAdvisor and thought it sounded great, but somehow booked at the Camelback resort which appeared to cater more towards conferences (at least while we were there). I’m not sure if I didn’t realize there was more than one JW Marriott in the area? In any case, that was a disappointing discovery and a rookie mistake. If we ever go back, I would definitely book at the JW Marriott Phoenix Desert Ridge simply because of the lazy river and pools. 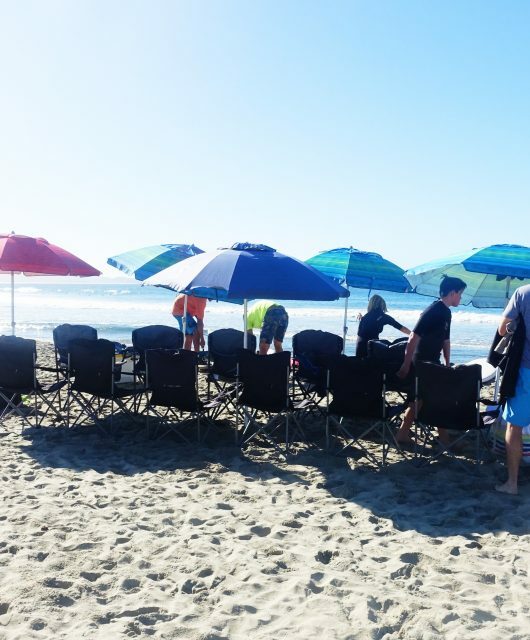 When we arrived in early April it was unseasonably warm, approaching 100 degrees. 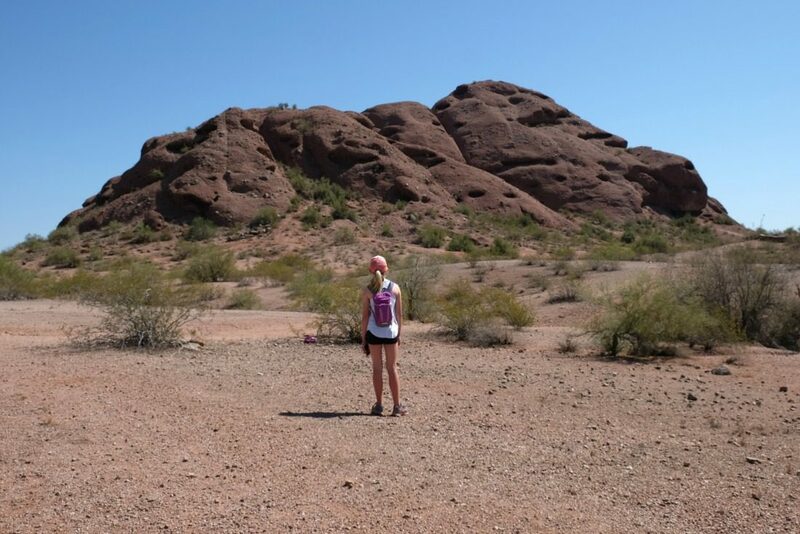 We had been expecting weather in the 80s so we had to rethink our ambitious plan to hike up Camelback Mountain. 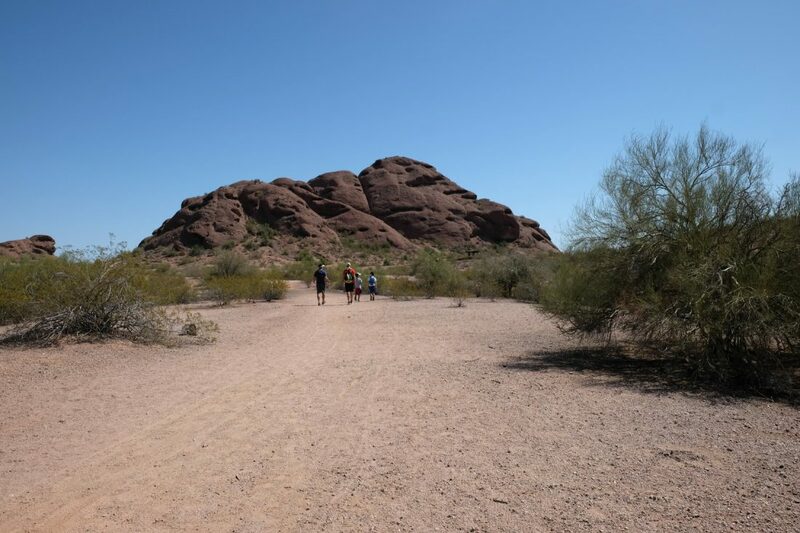 Camelback Mountain is an iconic and well known hike in the Phoenix/Scottsdale area. In spring there are beautiful wildflowers and fantastic views from the top. Since our hotel was so close, we planned to hike our first morning there, but when we learned it would be in the 80s/90s by mid-morning we decided it was too much when we just weren’t acclimated to the heat. 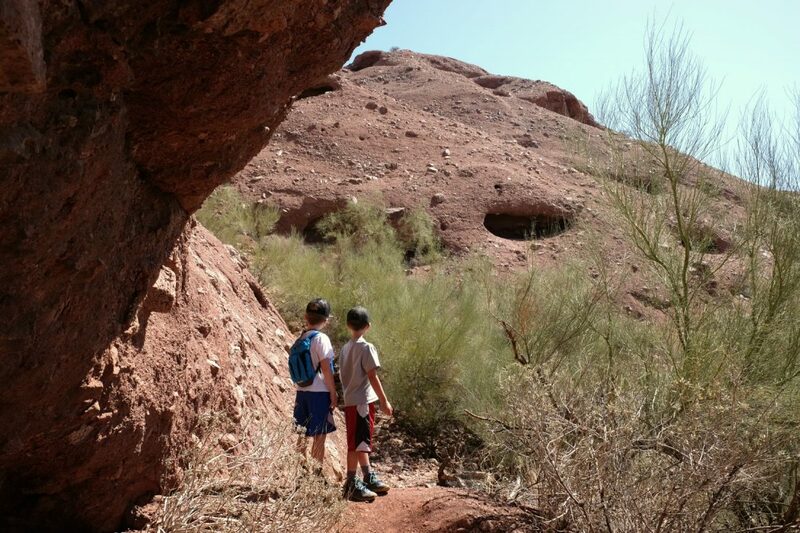 So I looked to one of my favorite apps (Alltrails) and we chose a much easier hike in close by Papago Park. The trails were well marked and there were cool rock formations that we climbed around and explored. The trail itself was pretty flat and all the climbing we did was on side trails, but even walking around on the flat trails exposed to the morning heat was a lot. 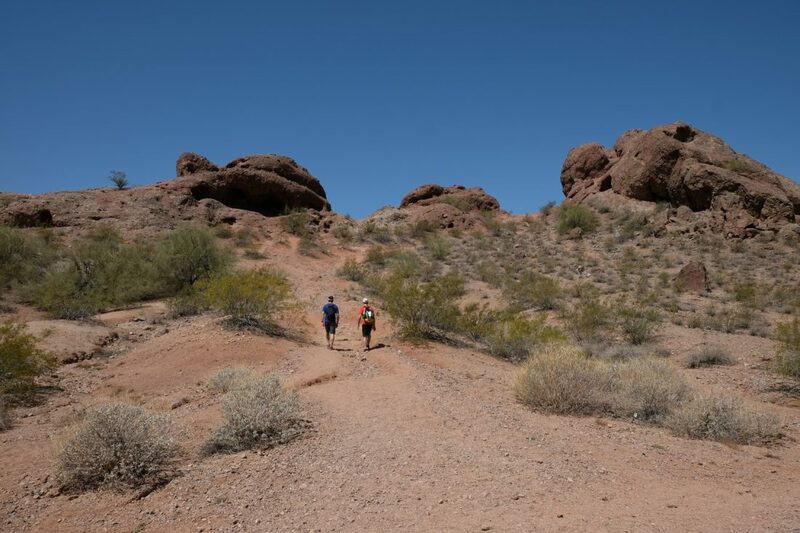 There are so many hiking trails in the Scottsdale area. This is a great one if you’re looking for “easy”. I love the Alltrails app and we use it all the time at home and when we travel. It’s so easy to type in your location and pick a hike that meets your needs from all the available trails that pop up. We haven’t been disappointed yet! 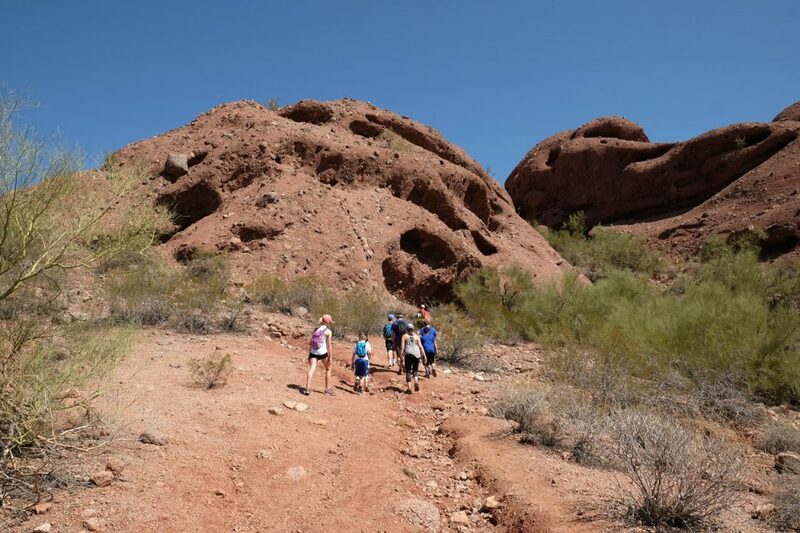 Hiking in Papago Park. Thanks for the recommendation, Alltrails! Climbing up to one of the “holes” in the rocks. 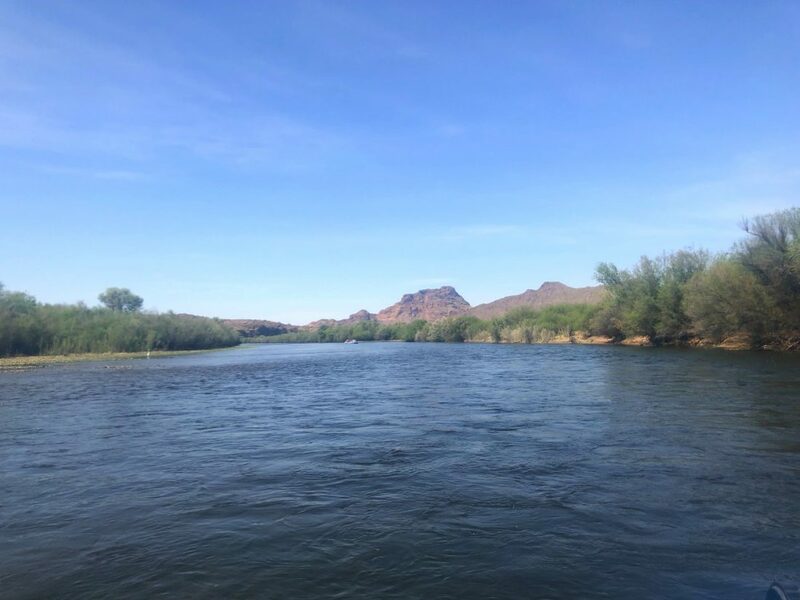 Who knew there was a huge river just outside Scottsdale? 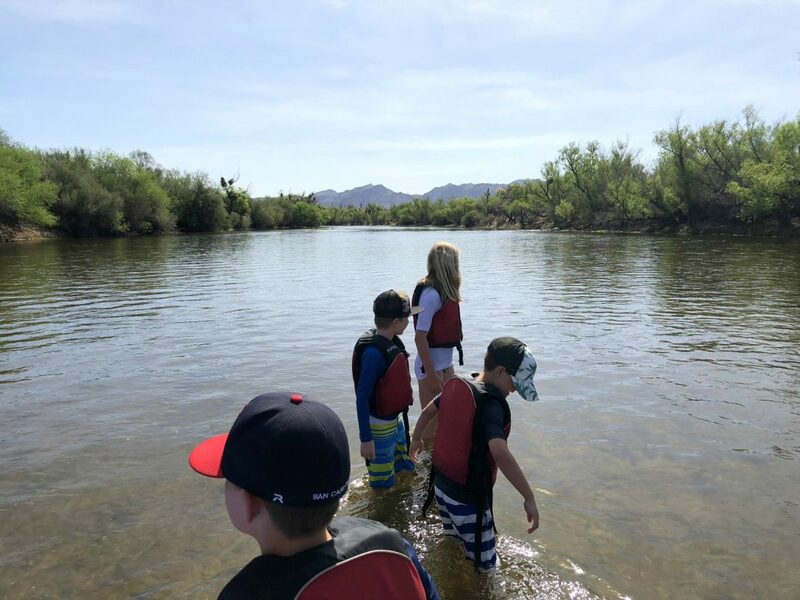 When most people think of Scottsdale, they probably don’t think about river rafting or kayaking, but it’s a great way to beat the heat since the water is pretty cold! We booked with Arizona Outdoor Adventures who had both rafting & kayaking tours on the Salt River (class 1). We were traveling with another family and since there were 10 of us we went with the rafting option since we could all fit in one raft and we weren’t sure everyone would be up for several hours of kayaking. In the summer it would probably a lot more crowded than the day we went. We saw one other raft and a few kayakers. We saw some herons along the shore as we floated along, but the most exciting thing we saw were wild horses. Our guide told us we had about a 50% chance of seeing them so we were all scouring the banks looking for them. Finally we saw about 5 in the trees drinking water from the river. We couldn’t get very close because we didn’t want to scare them away and I only had my phone so couldn’t get any decipherable pictures of them. But the kids jumped out of the raft and tried to get a bit closer by walking over. The water was so calm and there was enough current that we didn’t have to paddle. The kids really wanted some rapids and I think they lost a bit of interest despite our guides fascinating stories about navigating class 5 rivers in the past. While I wanted to love the rafting adventure, I think we would have had more fun kayaking as it would have been a bit more engaging. Or if we went during the summer when the water was a little bit warmer, tubing would also be really fun. 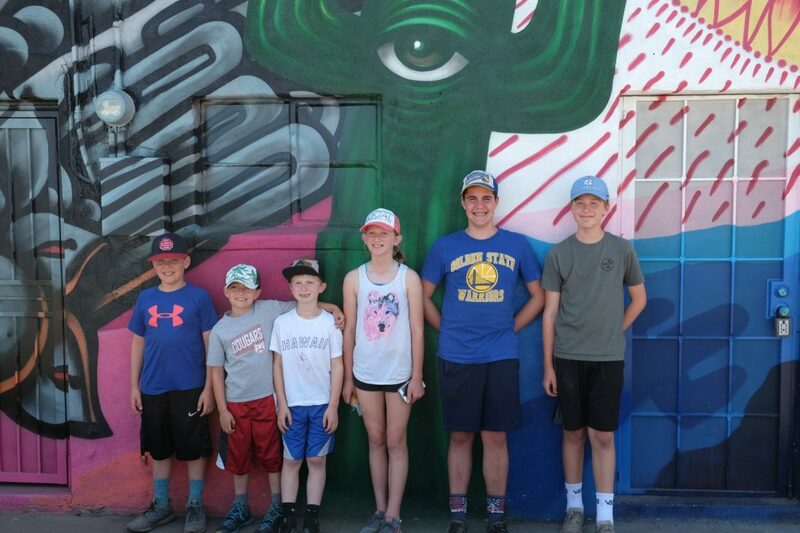 Our 8-year-olds were a bit scared going into the trip as they had been told by their older brothers that we’d be going over the sides of waterfalls, but once they realized that actually wasn’t the case, even they were hoping for a little bit of a thrill. 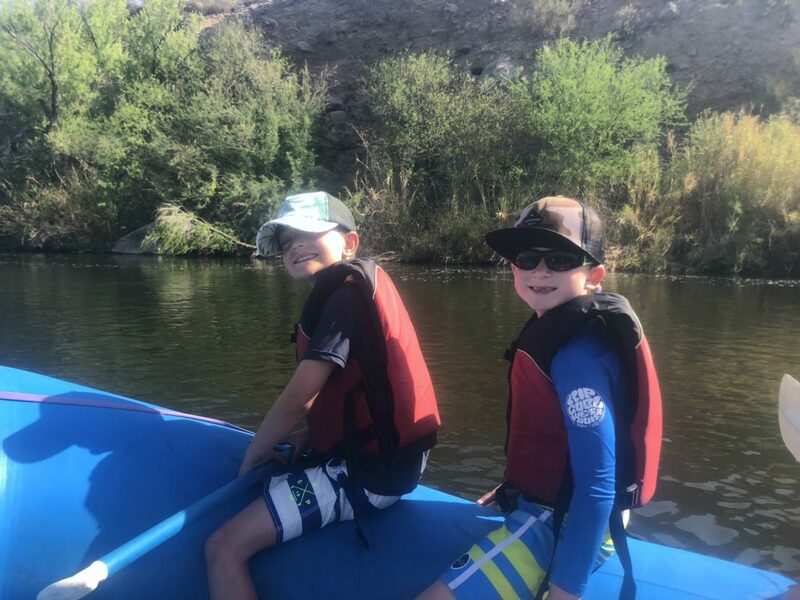 If you’re looking for super mellow rafting is a great option, if you want a little more adventure I’d choose kayaking or tubing. We ate at this casual restaurant at the hotel on our first night. 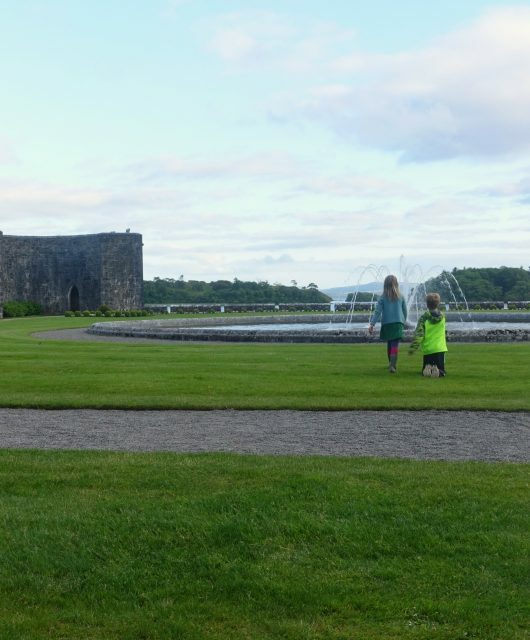 We were seated outside with fire pits and some grass areas for the kids to play. The margaritas hit the spot after our delayed flight and my fajitas were fantastic! 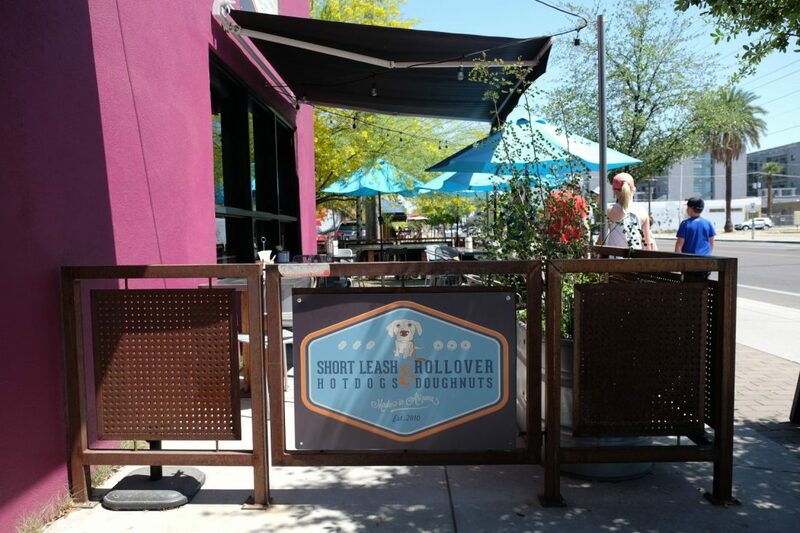 The kids and I learned about Short Leash Hotdogs when we were watching a show on the Travel Channel called Trip Testers, which I think has since been canceled. They thought it looked amazing and I appreciated the creative menu so we went to the Phoenix location in a cool hipster neighborhood. If you go, the fried pickles are a must! It was the best thing I tried! We also tried the Frito Bandito (with chili & fritos), the Aiko with mango chutney, the Polk-a-Dot casserole and they also had regular hot dogs for the kids who weren’t very adventurous. All the hot dogs were wrapped in naan instead of a bun which was unexpected, but delicious! 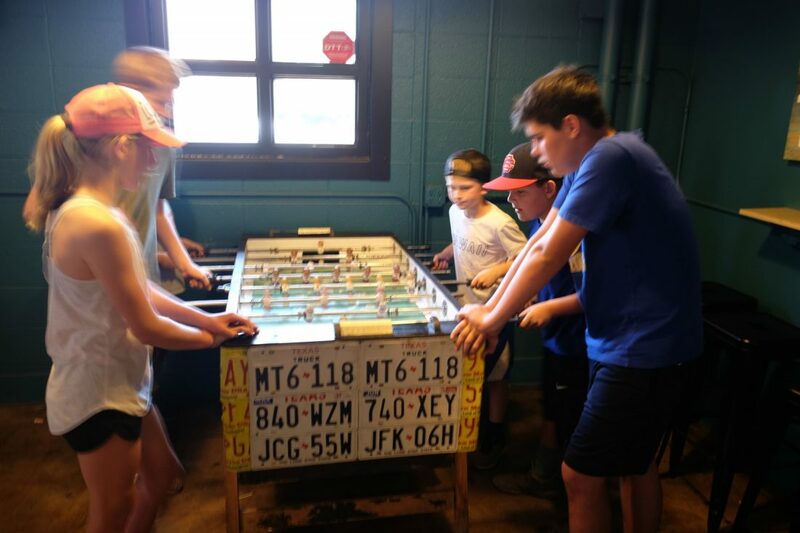 Once the kids were done, they took over the foosball table. Luckily it was over in a corner because they were plenty loud! If you save room, they also have Rollover Doughnuts which looked amazing, but we were all too full to try. 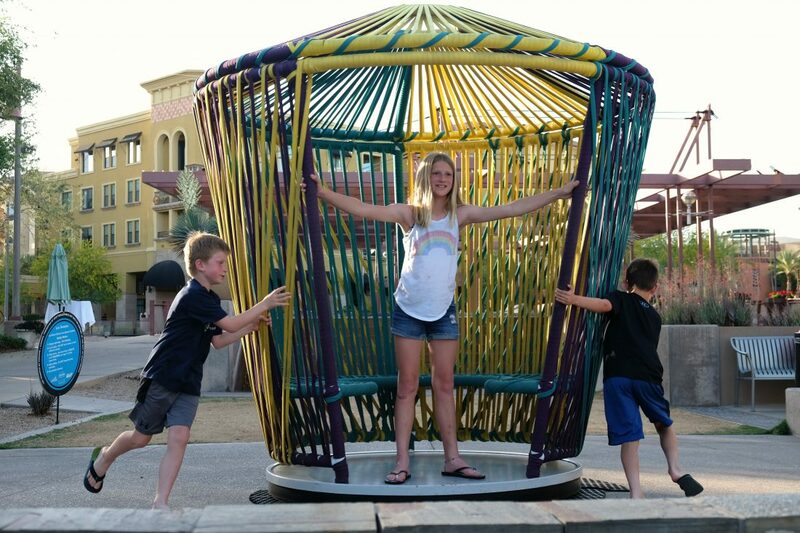 We went to Barrio Queen in Old Town Scottsdale. It was really crowded and they don’t take reservations, but luckily there was an area outside for the kids to hang out while we waited. This was ranked one of the top restaurants of our trip by everyone. Most of us chose a plate of three tacos – there wasn’t a bad option, but none of us could stop talking about the Al Pastor tacos (pork marinated in chile and spice). For an over-the-top dessert, try Sugar Bowl in Old Town Scottsdale. The dessert menu is extensive (old fashioned sodas, malts, milkshakes, sundaes, banana splits, parfaits, etc) and the entire restaurant is bubble gum pink with an arcade in the back which we were “conveniently” seated next to. And for anyone who remembers the comic “Family Circus”, there are vintage cartoons framed on the wall featuring Sugar Bowl. Apparently, author Bil Keane, is a huge fan! Next Stop: Sedona! 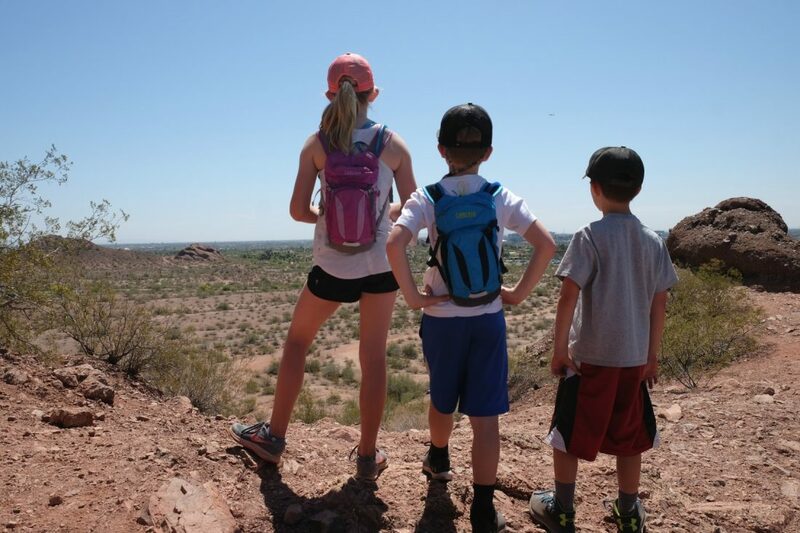 Read about our time in Sedona here.